One differentiating characteristic that drove us toward partnering with Icynene is the comprehensive warranty they offer. A lot can be said about a company that stands behind their product, and Icynene is very firm in their stance. As a Licensed Icynene Dealer, our installers are properly trained to install open and closed cell foams at the proper temperature, ratio, and depth. In addition to being installed correctly, our products are carefully stored in a conditioned space to ensure our customers receive the best possible product in their home or building. Not only do we warranty the insulation for the life of the building, but that warranty is transferable from one owner to the next. 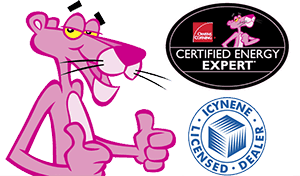 Check all your insulation alternatives– you probably won’t find such a comprehensive warranty from any other manufacturer. Below is a link to submit your warranty. Be sure this is done within 30 days of occupancy– we’ll provide you with the batch numbers!